Today Alina Bivol won the third victory in a row. This time she beat Boddu Pratyusha from India. Irina Drogovoz first stumbled on the Championship. She drew with the representative of Belarus Anastasia Zezulkina. 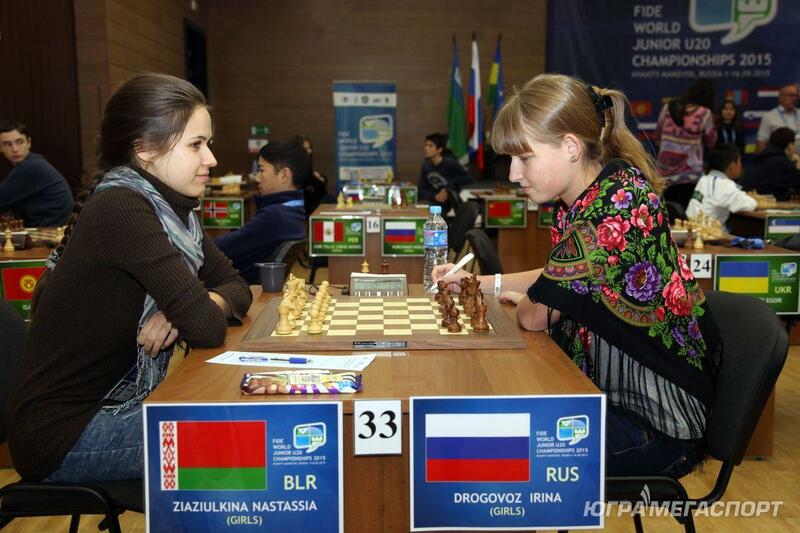 Irina Otazka lost the Azerbaijani chess player Gunay Mammadzade. First defeat in the tournament suffered. Her offender was Hungarian Julianna Terba. Karina Ivanova lost his party for the 24th move the Colombian Rueda Rodriguez. Second win in the Championship was won by Alexander Makarenko. Russian opposition resurrection — Lingur won by the second player. Leah Garifullina lost in the third round in a row. Anastasia Sazonova defeated the French Aniiy Thomas. For Sazonova, this is the first victory in the Junior tournament. Paired Shahnazi Musayeva — Irina drogbas was a draw. In the open tournament Mikhail Antipov beat German Matthias Blubaugh. Daniel Uffa broke the world with Italian Francesco Rambaldi. With the same result completed his part, Dmitry Gordievsky. Similarly played a Maxim chyhayev against the Turk Camila Ali Kahn Marandi. Mikhail Popov defeated the representative of Kyrgyzstan Chingiz Isaeva. Russian opposition Sabirov — Chumak won the second athlete. Vasily Korchmar and Jorge CORI the winner is not revealed. Aleksandra goryachkina defeated Harsha of Bharthari from India.